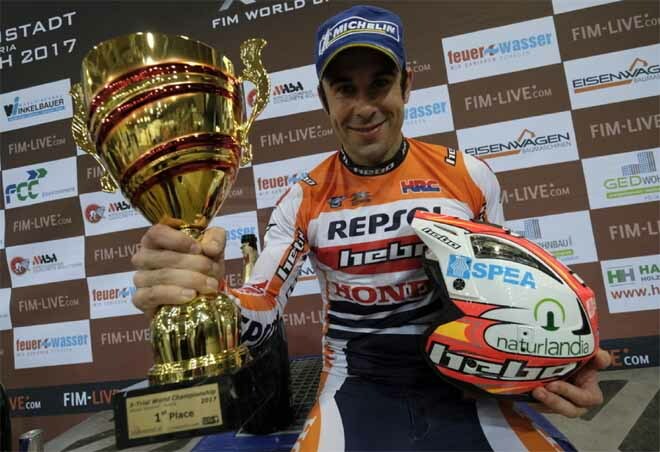 In what proved to be a high scoring event, Toni Bou – Repsol Honda secured his second victory in the 2017 FIM X-Trial World Championship as he rode himself ten marks clear of runner-up Adam Raga – TRS in Wiener Neustadt, Austria. 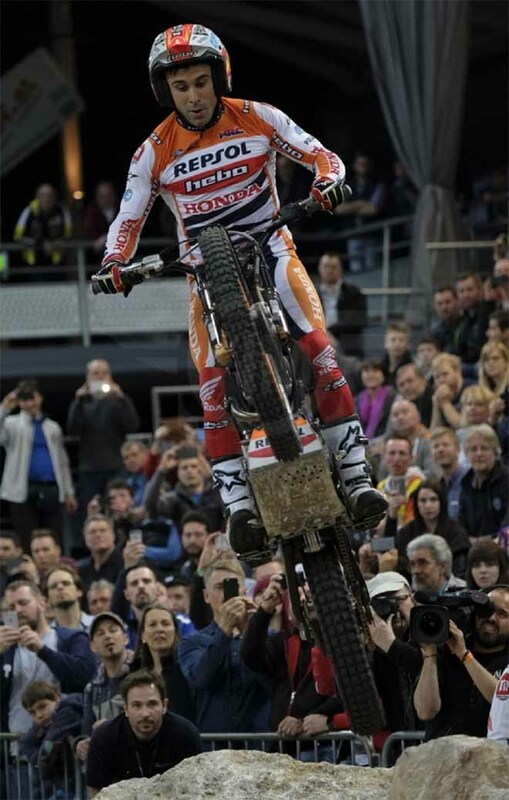 Bou now also heads the overall standings by ten points with two rounds remaining. 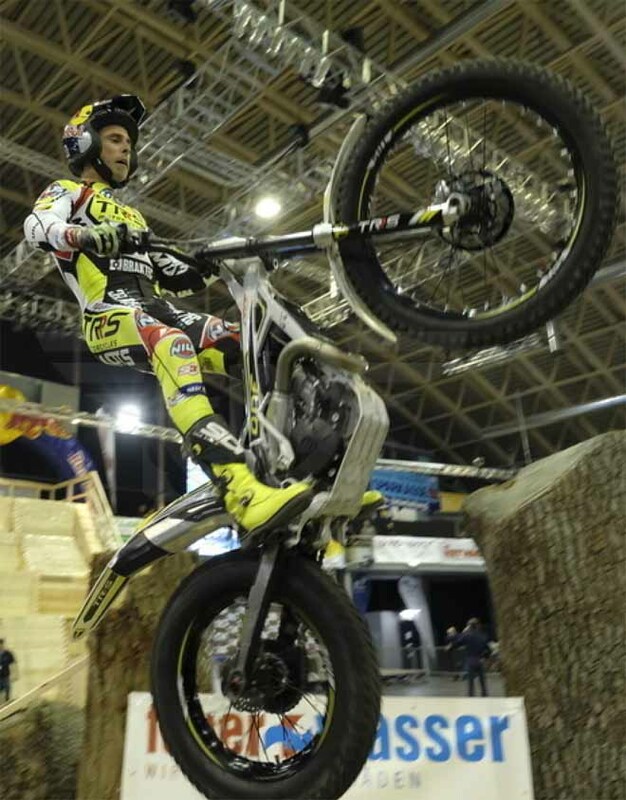 Albert Cabestany – Sherco completed the podium one mark behind Raga, after Jeroni Fajardo – Vertigo failed to make it through a section in the final to claim fourth spot. 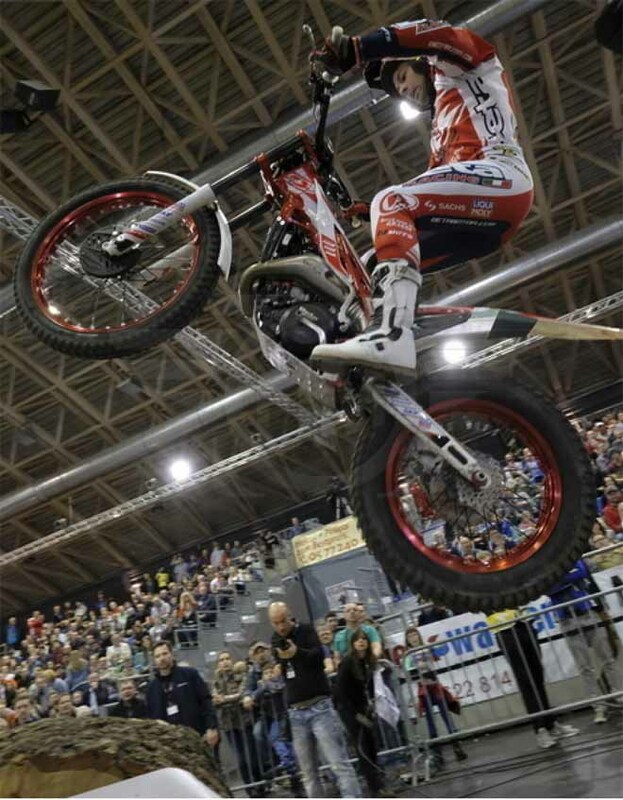 Thankfully qualification proved to be a slightly easier affair as once again the compact arena served up some ultra-technical sections with wild card rider Loris Gubian – Beta having the difficult task of tackling them first as he lost out in his head-to-head against Franz Kadlec – Gas Gas. This opening pairing produced several spirited performances but ended the evening in seventh and eighth positions with the young German rider coming out the better by a single mark. 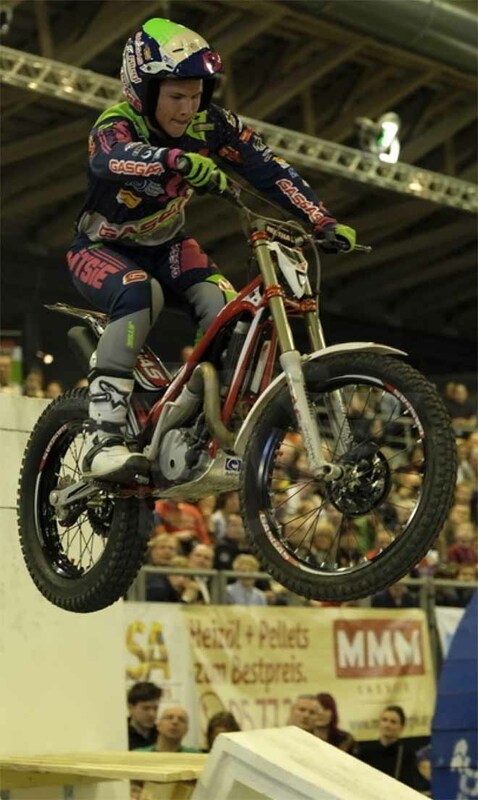 James Dabill – Gas Gas out sprinted Takahisa Fujinami – Repsol Honda in their initial duel, as the reigning British Champion then made the most of riding second in this pairing. Both Dabill and Fujinami showed moments of brilliance, but jointly failed to transfer to the final as they each fived the last two hazards. 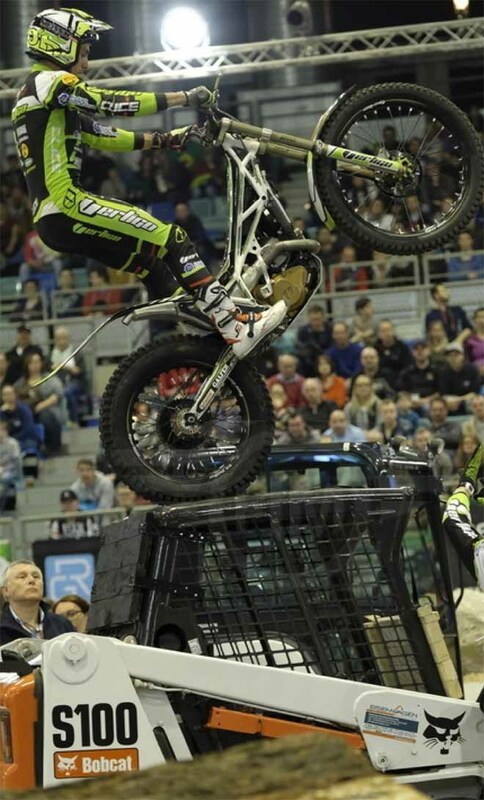 Dabill claimed fifth spot on the night two marks in front of sixth placed Fujinami. Continuing the theme of improvement pair by pair, Albert Cabestany – Sherco and Jeroni Fajardo – Vertigo both showed their class despite the latter being beaten over the twin lane race. Matching each other almost mark for mark Albert and Jeroni both threatened to post single digit totals, but had much of their hard work undone in the final two bruising sections just like the previous pairing. Fajardo just edged Cabestany by one mark as the Spanish duo booked their places in the main event. 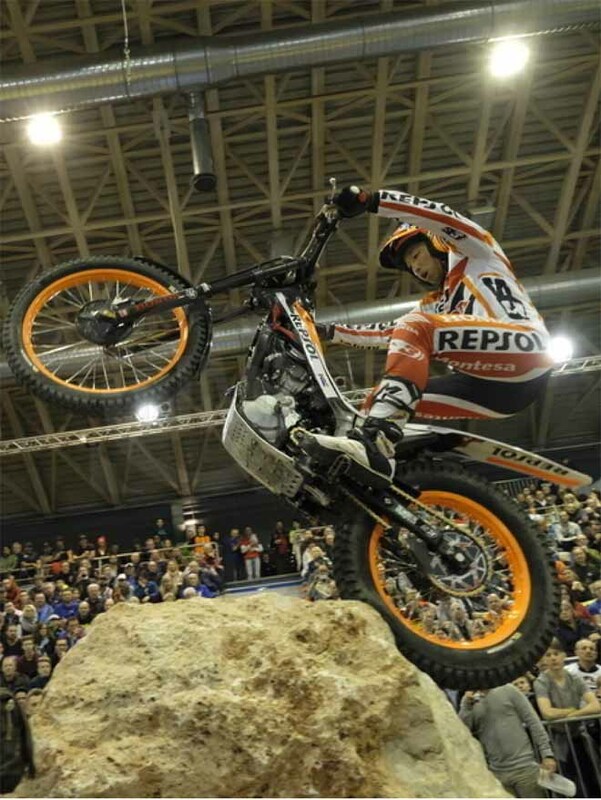 Typically, the best was left to last, with Toni Bou – Repsol Honda and Adam Raga – TRS executing a real master class in poise and perfection. 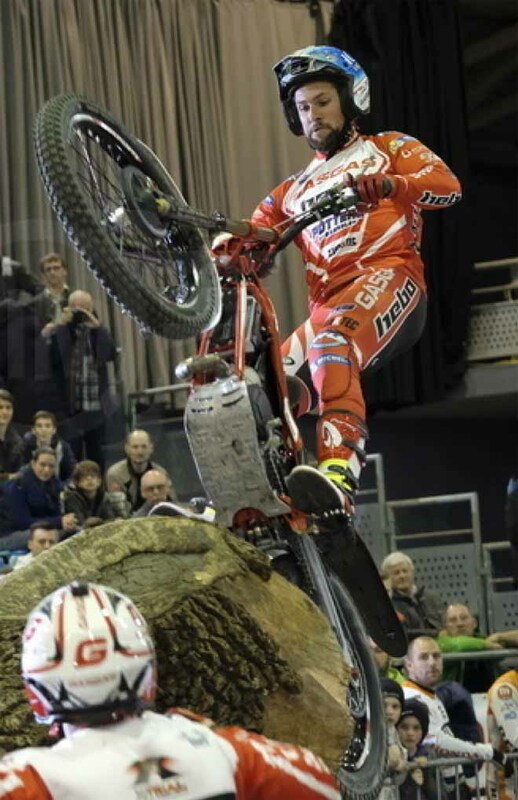 Raga was the first to escape from the big red blocks in the fifth hazard, and for just a single dab but was immediately upstaged by Bou who delivered a devastating ride to go clean in a section that had appeared almost impossible for most of the evening. However even Toni had to surrender on the huge wooden steps in the closing section after having watched Raga also five this monster of a hazard. Bou was the best in qualification on five marks, which was two better than Raga. In truth the all Spanish final developed into an almost non event, as even the elite foursome floundered on almost all of the six sections that this time were ridden in the reverse direction. Fajardo suffered most and notched a maximum score of six fives to illustrate the sheer severity of the occasion. Cabestany and Raga faired marginally better with scores of twenty-seven and twenty-six to end the night third and second respectively. Even Bou’s winning performance included three fives in his total of sixteen marks, again underlining just how tough the final hazards were. 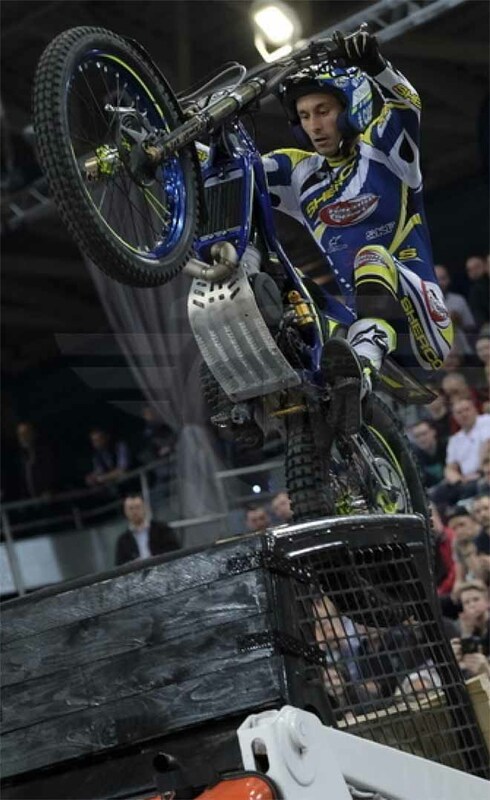 Bou will look to further extend his lead in the standings when the penultimate event in the series takes place in Marseille, France on Saturday 25th March.